Amidst rising public anger over the mysterious death of upright Indian Administrative Services officer D K Ravi, several IAS officers in Karnataka have signed an online petition addressed to Prime Minister Narendra Modi, seeking a CBI probe into the matter. The signature campaign is being undertaken by "Uttishta Bharatha", a voluntary trust, which has created the online petition in which 13.58 lakh people have so far signed, the Trust said. 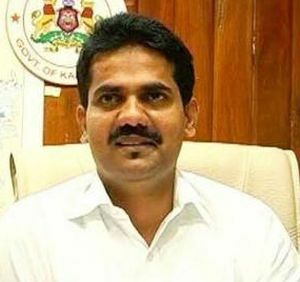 Speaking to PTI, Additional Chief Secretary (Environment, Forest and Ecology) Gopal said the case should be handed over to CBI for inquiry even as there are attempts from some quarters to assassinate the character of the upright IAS officer. "The case should be handed over to an independent agency -- CBI -- even as there are attempts from some quarters to assassinate the character of the deceased IAS officer. There are attempts made to kill Ravi for second time. We will not allow it," he said. The IAS officials, who signed the petition, are himself, Pankaj Pandey, Sameer Shukla and Srivasta Srikishna, among others, Gopal said. Gopal, however, said in no way he was questioning and doubting the credentials of state-run investigating agencies. "This does not mean we, IAS officers, are against and suspecting the abilities of the state investigative agencies. They are able, but this case is of different genre and should be given to an independent agency," the IAS officer said.